To meet the demands of ever increasing population, scientists across the globe have come up with different techniques to meet the food requirements. Everyone in the community is working together to double up the production by means of artificial ingredient integration or bio-engineering. One such new method includes Supercharged Photosynthesis which has been chosen as one of the best inventions of 2015 by the MIT Technology Review. Adopting another approach, engineers from Washington University in St. Louis have discovered a modern approach to scale up the production of protein rich beans by modifying the route with which it absorbs the nutrients. Indian origin scientist, Ramesh Raliya under the guidance of Professor Pratim Biswas, from the School of Engineering & Applied Science has presented a viable approach to incredibly decrease the use of rock phosphorus fertilizers and still double up the beans' production with the help of Zinc Oxide nanoparticles. Raliya claimed that this research is the first of its kind, being an approach to help mobilize existing phosphorus in the soil using Zinc Oxide nano particles. Phosphorus is an essential element required for healthy crop production and farming. However, the excess use of Phosphorus and related fertilizers do not help a sapling to grow, as it possess a limited capacity of 42%. The extra component gets mixed to the nearby water sources and causes eutrophication, which signifies the polluting water sources with algae and other phytoplankton. Nearly 82% of all fertilizers are dependent on Phosphorus, which possess a threat to the limited storage of Phosphorus. Raliya and team with Jagadish Chandra Tarafdar at the Central Arid Zone Research Institute in Jodhpur demonstrated an alternative way with which the target can be achieved without ill-effects. They have introduced zinc oxide nanoparticles from a fungus which causes a plant to absorb the required nutrients. Additionaly, Zinc also reacts with three important enzymes that mobilize the complex form of phosphorus to make it absorbable into the form plants can soak up. Due to constant changes in weather, microfloras get destroyed and phosphorus loses its locomotive activity. 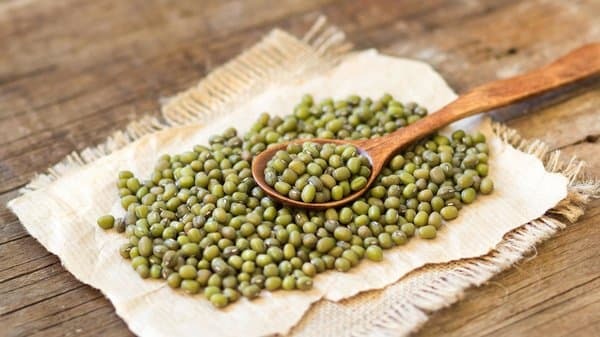 To boost the enzyme responsiveness, scientists applied Zinc Nanoparticles to the mung bean plant leaves which incremented the uptake of phosphorus by 11% and enhanced three enzymes’ power from 84% to 108%. The team explained that the research will help improve the quality of sustainable development and will help solve some of the burning issues of agricultural development. The research has been funded by the National Science Foundation, National Agricultural Innovation Project, the Indian Council of Agricultural Research, Government of India and was reported and published in the Journal of Agricultural and Food Chemistry.